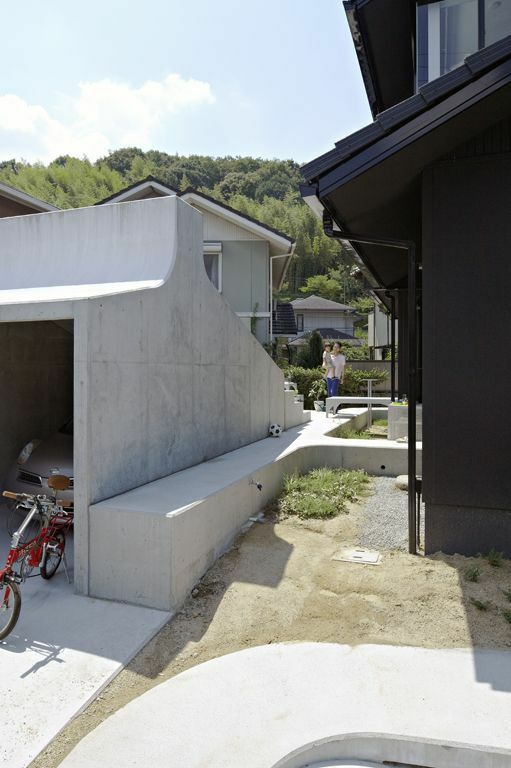 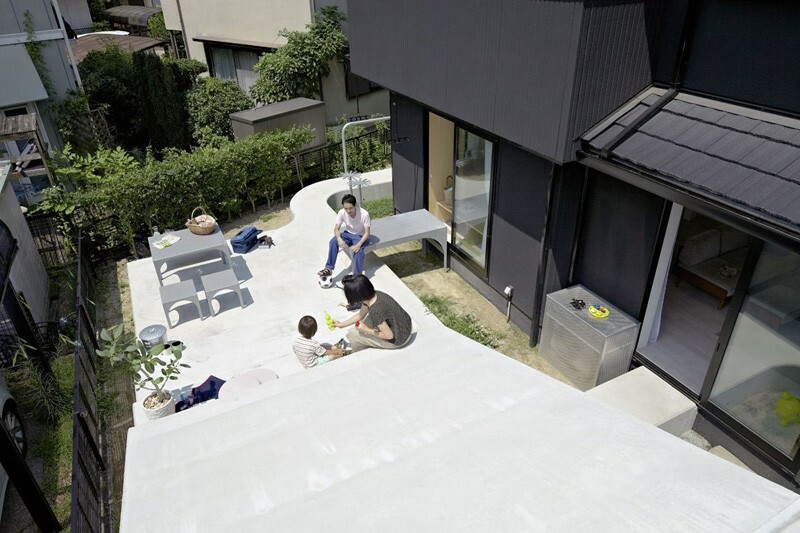 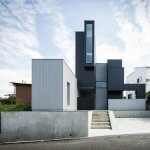 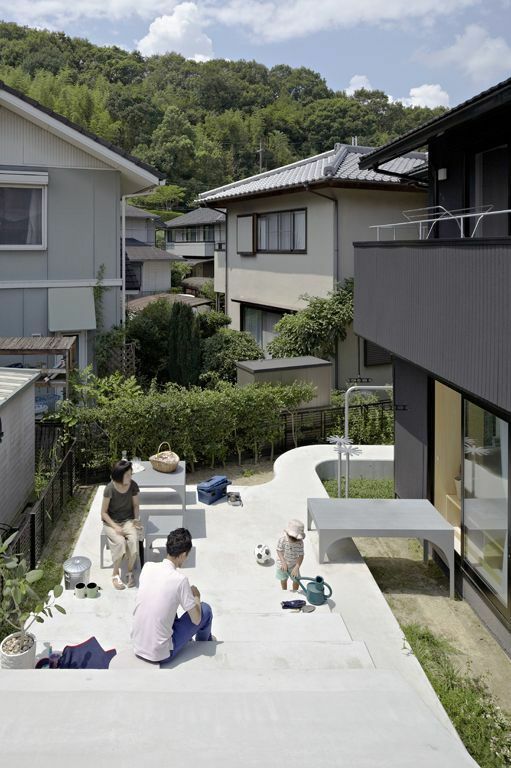 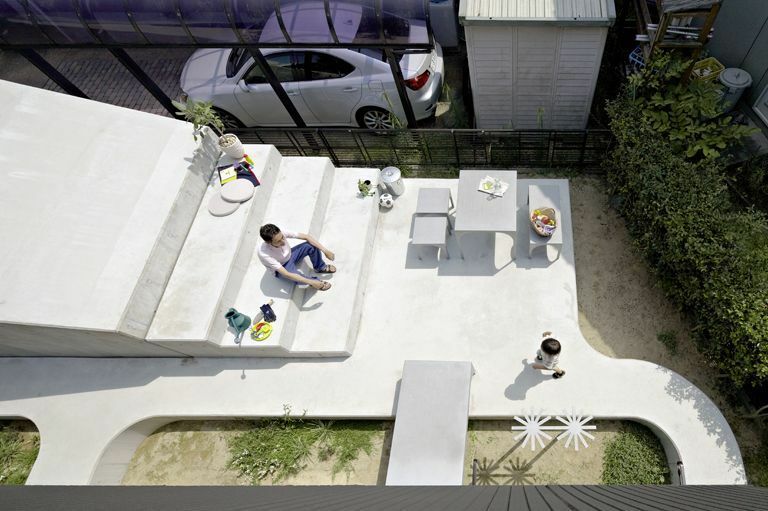 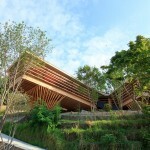 When this young family bought this house in Ikoma, Japan, the space behind the house was a dull parking space. 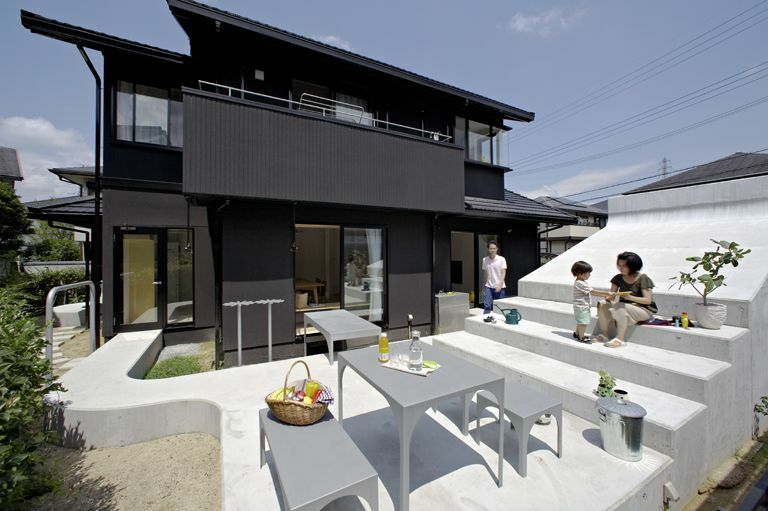 It wasn’t a place to spend time in, and enjoy some outside life, so they hired SPACESPACE architects to improve the situation. 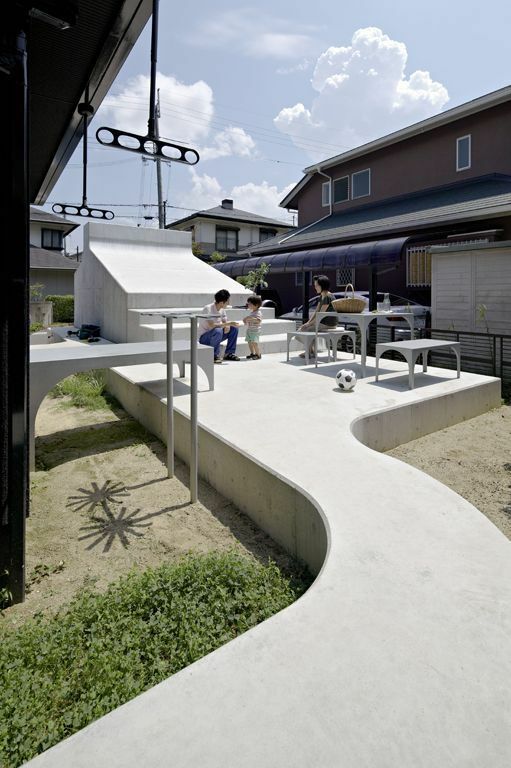 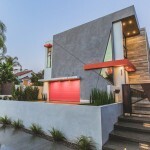 The space was reclaimed by creating a concrete carport at the edge of the property, that has steps for sitting on the other side, as well as space for a table and chairs.